You are here: Home / Parenting / A Day Full Of Cardiologists, EKGs, Hearts, And Praise! A Day Full Of Cardiologists, EKGs, Hearts, And Praise! Today is a day that the majority of parents of children with Down syndrome will encounter. It is our day to visit the cardiologist. One of the most common medical concerns for children born with Down syndrome is congenital (being born with it) heart defects. This encompasses a variety of different conditions. The most common for children with Down syndrome are atrial septal defects and ventricular septal defects, and there is a third type that is seen significantly more in children with Down syndrome as compared to the general public and that is the atrioventricular canal defect. There are a variety of others but these are the most common. When I was in medical school I was convinced I was going to be a pediatric cardiologist. I was obsessed with the career path and did everything I possibly could to get exposure. I got extremely lucky in landing a preceptorship with one of the top pediatric cardiothoracic surgeons in Houston who taught me the basics. It was the first time I got to see a beating heart the size of a strawberry. I know a heck of a lot more about pediatric cardiology then the average pediatrician thanks to my experiences. I started to reconsider during residency and finally decided that it did not hold my interest the way a career should. I also knew that my family (and future family members) were a priority to me and I was not willing to sacrifice my time with them to follow a career that I was only somewhat interested in. Which leads me to today, where I know a lot about cardiology but am living it up doing shift work in the emergency room and spending the majority of my time with the cutest little man I know, happy as could be. I will never forget when our cardiologist visited us in the hospital. 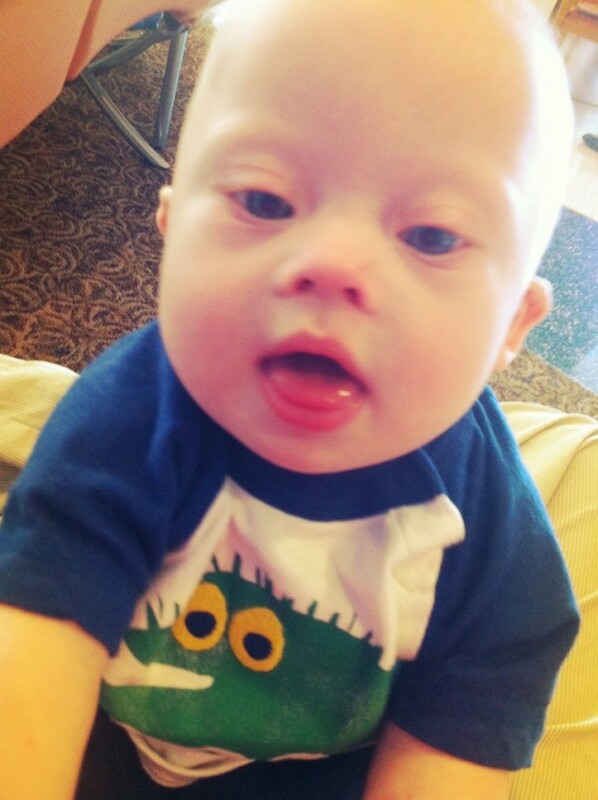 After our pediatrician told us Noah had features consistent with Down syndrome, I remember clutching my chest and trying to get the words out “how is his heart?”. She reassured me, but said the cardiologist would be by in the morning. It was torture waiting because I was contemplating all of the possibilities. He walked in during the mid morning and started with excellent bedside manner trying to get to know my family and then explaining to us the normal heart. All I wanted to do was shout “stop making small talk and spit out some acronyms so I know what is going on”. 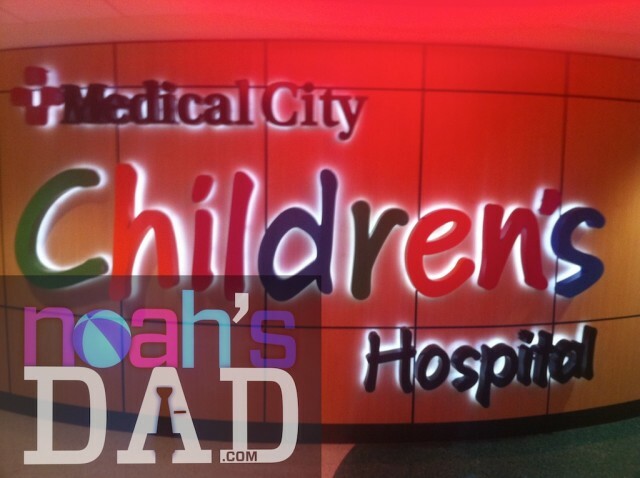 He finally cut to the chase and told us that Noah had a patent ductus arterious (PDA) and an atrial septal defect (ASD). Umm, Guys? What Are They Doing To Me? 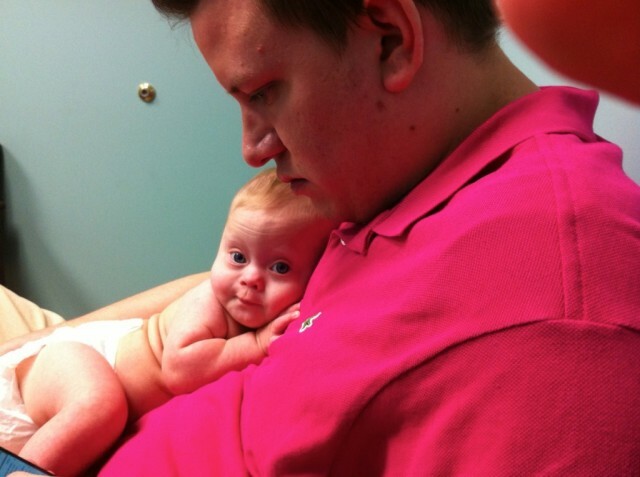 His PDA was closed by his first check up, 2 months after he was born, praise the Lord! Today’s appointment was to check on his ASD. At his last visit we were given a 50/50 chance for it to close on its own. When we go to our visits they start with an EKG (electrocardiogram). This is when Noah looks like he is jump starting a car or in a torture device of some sort. I promise those are just stickers and they don’t hurt at all. An EKG looks at the electrical forces the heart makes. It can show arrhythmias, if certain areas are larger than normal or if areas are not getting enough blood supply (like heart attacks) and that is just a few of its purposes. There are certain changes that are seen with ASD’s so you can get hints that it is still open with just this test. Is That My Heart Mom? The next step is getting an echocardiogram. This is a fancy word for an ultrasound of the heart. They use the same machine as what is used when you were pregnant to look at the baby. They can get detailed views of all of the chambers and vessels, tell which way blood is flowing (blue and red colors are directions not oxygen) as well as how the heart is pumping. If you knew your child had Down syndrome prior to delivery there is a chance your little one had this even before they were born. I don’t like to fess up about a lot of my knowledge as I could always be wrong and I don’t know everything, but I was fairly certain I saw the little jet go from his left atrium to his right atrium during his echo. This meant that his ASD was still open. We then waited for our cardiologist. I think it was only 5 minutes, but it felt a lot longer. She’s very nice and does an excellent job of explaining things. She confirmed that Noah’s ASD was still open. HOWEVER it was ONLY 2MM!!!! The last time we got it measured it was 5mm. It is shrinking and that is fantastic news. We were told the last time that if it were smaller or the same size chances would improve that it would close without intervention. Being only 2mm was such good news that we don’t even have to be seen until next year. She told us if he had been born with one that size she would not have even followed him as it would almost always close on its own. We were doing some serious praising after this!! Why Were You So Worried? What’s The Big Deal With A Small Hole? You may wonder why do we want these holes to close so badly. Surgery would be indicated if the holes were not able to close on their own. They are closed to protect the heart from volumes of blood and pressures it was not meant to experience. An ASD puts increase blood volume on the right side of the heart and can in 20-30 years cause the lung vessels to get stiff causing pulmonary hypertension. I promise you this is not something you want. It would require not just a heart transplant but a lung heart transplant to fix the problem. So that is why we worry about a hole that allows more blood on the right side of the heart. Granted no cardiologist who is following your child will let it get to the point where you need a heart transplant which is why an ASD is repaired between the ages of 3-5 years old if needed You can imagine how relieved we were to hear this news. Rick and I had been praying daily that Noah’s ASD would be closed or getting smaller and God came through for us in a big way. We are beyond grateful for all of our answered prayers. I can’t even begin to list them all as the list is too long. But we say thanks every day for what He is doing in our lives. Our little man is pretty tough as his day did not stop there, he continued on into therapy as if it were no big deal. He worked out just like he always does, even doing push ups on the ball. I don’t know how he does it all at 8 months old as his parents were sure exhausted. What good news have you had lately? Is there anything we can pray about for you? I’m so glad that Noah’s ASD is closing on its own! Owen (who is 2 1/2 years old now) was born with AV canal defect and had that repaired when he was just 4 months old. It was the scariest moment of my life to hand him over to the anesthesiologist and pray that the surgery go well. 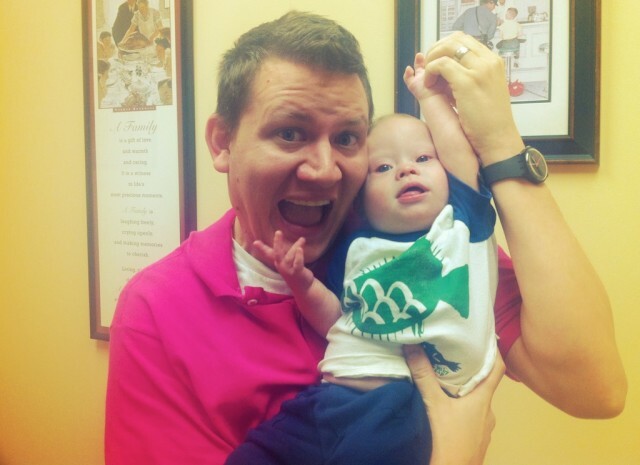 Today Owen is doing great–we don’t have to see his cardiologist for another year. I am very glad that we had the surgery so early in his life because the recovery was easily 6 weeks then and would probably be longer now. God is Good! That is so awesome..! Thanks for sharing. Excellent post! You explained why so many of us parents hate the dreaded cardiology visit . We actually got Ellie’s diagnosis of Ds at the cardiologist as the lab failed to send the results of the pediatrician. 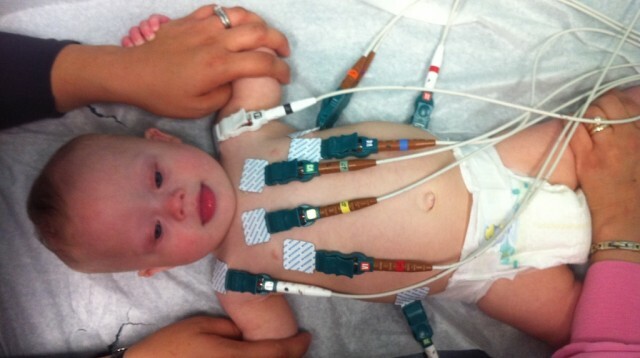 The cardiologist assumed we knew the test results and went on and on about Down syndrome. Imagine his shock and horror as I said “so it is true then that she has Ds and is it the trisomy 21 type?”. What a relief that Noah’s ASD is shrinking in size. That is good news! Uggg..I’m so sorry Anna. I can’t imagine what that must had been like….for you, or the cardiologist! So glad to hear that everything is going well now. You guys rock! Our little one went through the same thing. She had a hole in her lower left ventricle and was operated on at 10 months. Except for the zipper (scar) down her chest, she is a happy, active 6 year old today. The surgery was a miracle for after she had it, boy, did she ever make up for lost time… there’s just no stopping her…. We are very thankful. That’s so awesome to hear! It sounds like you guys have a blast! Praise God! And thank you for the nice short yet clear version of the medical info you contributed to this blog!!!! It helps tons!!! No problem! Thanks for all your support Vanessa! Why do you say that ASVD is almost “exclusively” seen in children with down syndrome? The article you linked to said that 1/3 of children with this defect have DS, which would mean more than half do not, right? Good catch!! I was quoting our cardiologist when I wrote that 🙂 ask Rick he was there. I am going to try to interpret what she meant and I will update the post to say accurate information. If a syndrome is associated with AV Canal it is almost always Down syndrome. AV Canal Defects occur in only 2.9% of the general population but in 20% of children with DS which is quite a jump. 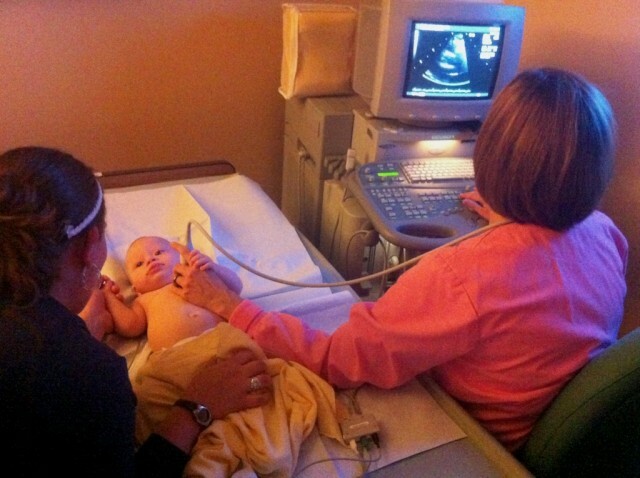 It is fairly common to test children for Down syndrome if they have an AV Canal Defect. I hope this makes sense. I will be reading my links (before quoting my doctors) thanks for asking your question and keeping us honest! Thanks for the information and explanation of the affects of an untreated ASD. My son Easton, now 3 months old, was also born with an ASD and PDA. At his 6 wk follow up with his cardiologist, we were informed that his PDA was closed, and his ASD was showing signs that it would most likely close without any intervention. What a relief! On a side note, I was introduced to your site by a friend of a friend. I’ve been reading your stories and love them. I kind of did the opposite of what you and your wife did. I only looked up one medical site after our son was born, and hadn’t looked anything else up. The increased risk of lukemia scared me and I didn’t want to read anymore negative things. It took me some time for the shock of Easton’s Ds diagnosis to wear off, as blood tests and sonograms were “normal”. It was weeks before I could talk about it without crying. I still get emotional, but at least can talk without breaking down completely. Like Noah, Easton’s a champ!!! He was rolling over from tummy to back on his 1 month birthday! 🙂 We have our first appt at the Down’s Clinic here in Dallas tomorrow. Finding your site has been such a blessing. I’m looking forward to finding more tidbits of information in your stories, seeing how Noah’s progressing, and learning what we have to look forward to. My Benji (18 months today!) has an ASD as well as persistent Pulmonary Hypertension (~60mmhg). (He was born at 26 weeks and has COPD. The PH presented itself after an episode of RSV shortly after his NICU discharge) He is on continuous Oxygen and Sildinifil for treatment of the PH. We have seen 3 Cardiologists (seeing a 4th in April) and they have all had differing opinions on closing the moderate to large ASD. So confusing as the parents! I am hoping for some good news come April at his next echo. Hoping for decreased PH and an answer on the ASD closure. So wonderful to hear such an encouraging report about Noah! Thanks for sharing!